I have two faithful under-eye concealers which I switch between, which I think are the best out there. I want a product which will cover dark circles, without sitting in fine lines and making them more noticeable. 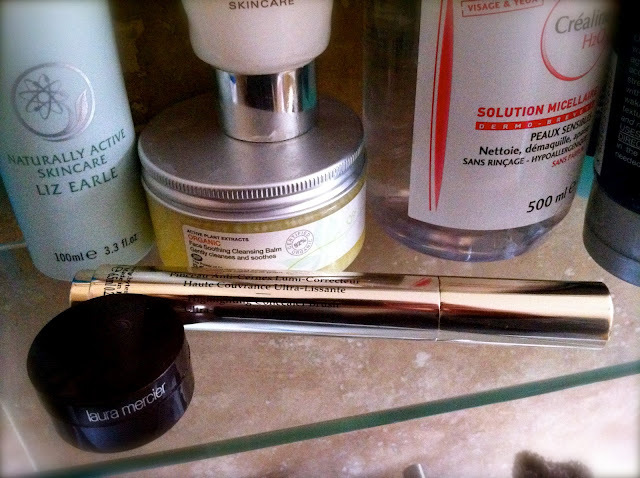 Start off with a good eye cream, to help with the fine lines, and then use either Laura Mercier Secret Concealer (£18.50) or By Terry Touche Veloutee (£35) as your under eye concealer. I've never found better. Touche Veloutee has the familiar brush applicator, but it's much fatter than the other brushes out there, and I think this improves its application. It's a creamy, highly pigmented concealer which means that you only need a tiny amount to cover the whole area. This concealer is illuminating and light-reflecting, which makes it particularly effective at covering dark circles. I apply the Secret Concealer with my ring finger, and it has a light texture, which makes it easy to glide onto the eye area without any pull. Vitamins E and A help to condition and moisturise the under eye area, keeping the concealer from settling into fine lines, and the pigmentation is strong enough to give good coverage of any dark circles. It comes in six shades, which gives a wider choice than you'd normally get from an under-eye concealer. 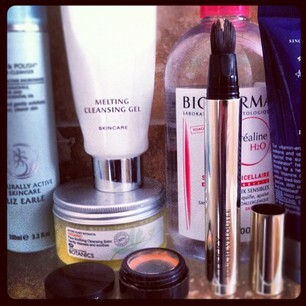 And I'll happily double-up these products as a normal face concealer, whenever I don't have my usual one to hand. And when pennies are tight, I go for Boots No. 7's Instant Radiance Concealer which is a great budget alternative at £13.50. It's their version of YSL's Touche Eclat, and gives good coverage, with a light texture. And although I realise that Touche Eclat has long been the market leader in this area, I have always found that these alternatives perform better. The thing to remember though, is that although Touche Veloutee is a steep initial outlay at £35, because the tube is 6.5ml, it actually works out cheaper per millilitre than the No. 7 product, and in the process makes YSL's Touche Eclat look like a complete rip-off. In this situation, with Touche Veloutee, you can get both quality and quantity. I agree - A tube of Touche Veloutee lasts for ages and is way better than Touche Éclat. Didn't realise it was so economical too!